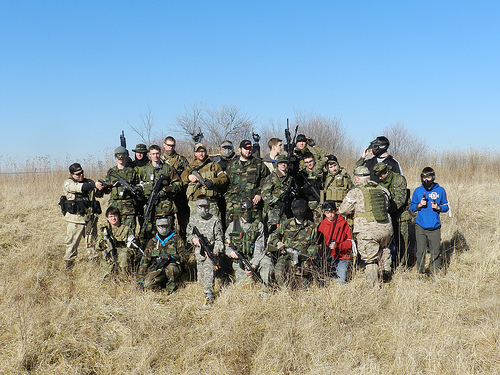 The growing popularity of BB guns owes credit to the exciting and fun airsoft games. These games are played all over the world with replicas of real world arms in the form of BB guns. 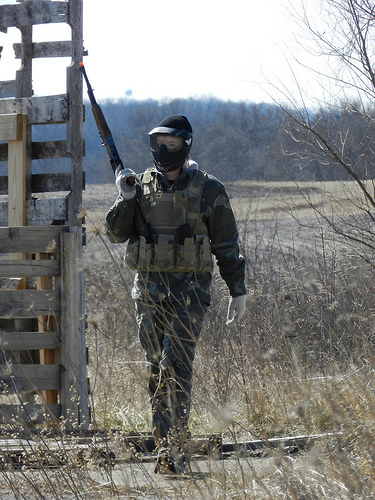 There are many airsoft games, the following of which are amongst the most popular. As the name suggests, it’s a manhunt! One player takes the role of the hunted, while the aim of the other players is to hunt down that one player. The player who is chosen to be the hunted will have to make his way to a particular place in the stipulated time period if he is to win the game. Hunters are not allowed to fire shots at each other. The game is won when a hunter shoots the hunted, or when the latter makes it to the safe spot in the allotted time. The hunted has a head start of five minutes and is equipped with a pistol. The hunters start the game at the same location and time. Any player shot at by the hunted plays no further part in the game until the next round, and is not allowed to talk to anyone. This is a team game, with one group playing the role of the prisoners while the others play guards. The theme revolves around the prisoners, who have escaped with arms of which the guards are unaware. The airsoft guns of the prisoners have been hidden by the guards. They must journey through a safeguarded area and make their escape to win the game, while the guards must capture them if they are to win. This is another team game wherein each team chooses a captain. The aim of the game for both sets of players is to eliminate the captain of the other team. The captain will be tied to an immovable object with a rope about twenty feet long. While the members of each team try to protect their captain, they must also find ways to capture their opposing captain for the game to be won. This game is among the few that are played in the dark. Two teams participate in the game, one with eight players who act as guards while the second team has only two players that play the role of stalkers. The guards either carry a flashlight in their hand, or have them attached to their gun, while the stalkers have no such obligation. The game is won if the team of guards shoot the stalkers, or if the stalkers manage to kill all the eight guards. The guards must keep their flashlights on until the game ends while the stalkers prowl in the quiet of the night. Automatic electric guns are usually the weapons used in this game. Penny is an expert associated with UK online airsoft shop, cheapBBguns.co.uk. The seller offers an excellent variety of high-quality and competitively priced gas powered, spring and electric airsoft guns. cheapBBguns.co.uk also sells a range of BB gun accessories, including targets and safety goggles. 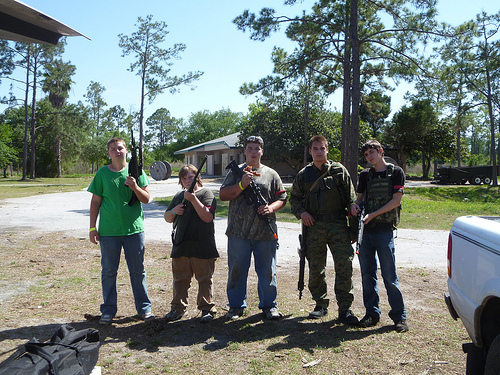 This entry was posted in Land Sports and tagged Airsoft, Airsoft Games, BB Guns. Bookmark the permalink.